Olivia decides to beat Andrew to the punch. How better to show her stellar level of commitment than proposing first. But the best blabbermouth seems to have tipped off Andrew, too. Now, they’re playing a game of keep your friends close and your soon-to-be-spouse closer, which Andrew cements by asking to come along on this case. 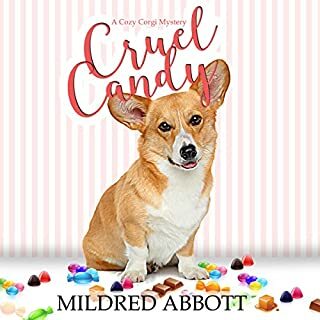 But when the missing puppies lead to the murder of a well-known (and well-hated) romance advice columnist, Olivia and Andrew’s feelings will be tested. Not just in the battle for the bridal win, but in sifting through suspects who wanted to kill the author for ruining their love lives. Olivia and Andrew are in a rush to find who done it, before the investigation does away with their engagement. In this latest Happy Tails mystery, Olivia solves not one, but two mysteries while juggling her sister's pregnant hormones and her boyfriend's unusual behavior. These stories are always good for a few laughs and an great challenge in following the clues to the villain ... or in this case villains. There's even an added bonus wrap up for one of the long running sub-plots of the series. 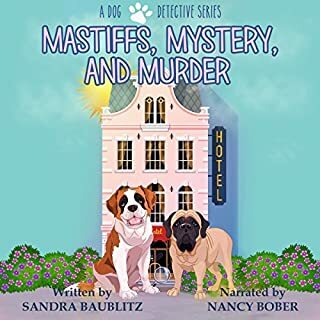 If you're a fan of the Happy Tails gang or just of cozy mysteries, you will love this one. 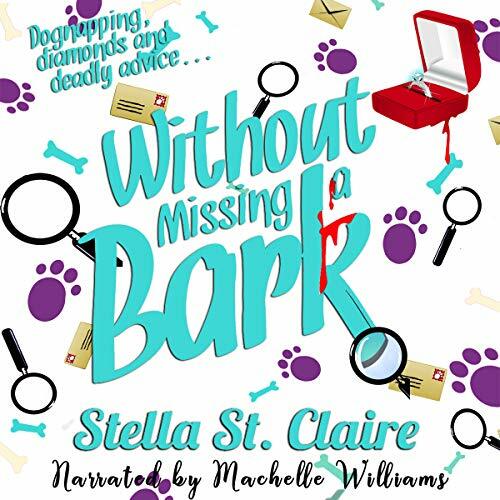 Stella St.Claire has written another great book! I loved the unexpected twists in Without Missing a Bark, and how Olivia and Andrew's relationship changed. Without giving away spoilers, the ending of this book was fantastic! It had everything I hoped for and more. Machelle Williams was brilliant in her narration. She gives the various characters distinguishable voices, which I so enjoy. I requested this review copy audiobook and have voluntarily written this review. I will definitely listen to more books by this author and narrator in the future. I have listened to all of the books in this series and even though they can stand alone they are definitely fun to read together! 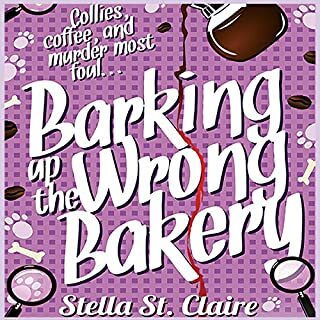 Stella does a great job with the plot in each of her books, none of them have been predictable and the background story of the main characters romance and their dysfunctional relationships makes them a fun read. Just goes to show good communication goes a long way. 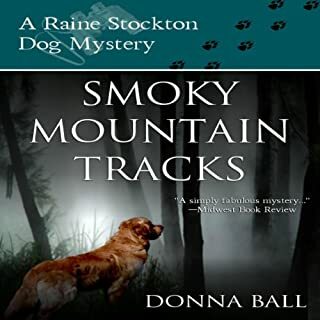 This book didn't start as a murder mystery, which was new, it started with puppy nappings and Olivia has to solve it quick before the puppies are sold and shipped off to new homes. Machelle does a fantastic job narrating this one just as she has with the others in the series. She does a wonderful job with each of the characters and really makes the listening a lot of fun. 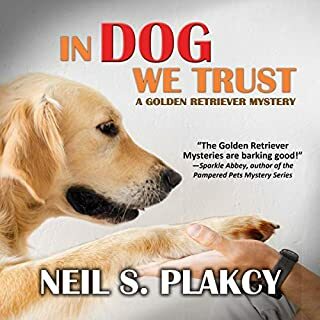 This is the 6th book in the Happy Tails Dog Walking Mysteries series but it stands alone. 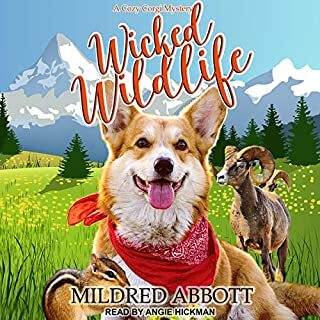 Expensive pure breed puppies are stolen and then a hated advice columnist is murdered, Olivia and Andrew are on the case but will their relationship survive it? This is the first book I have listened to of this series and it was quite enjoyable. I would like to listen to the other books to learn more about the characters. The story was nicely read by the narrator. I was gifted a copy of the audiobook in exchange for an honest review.